… a literal physical space we occupy that is our dwelling, our workspace, or our public spaces. There are so many of us on the Earth that we are now literally crowding out other species with our footprints. 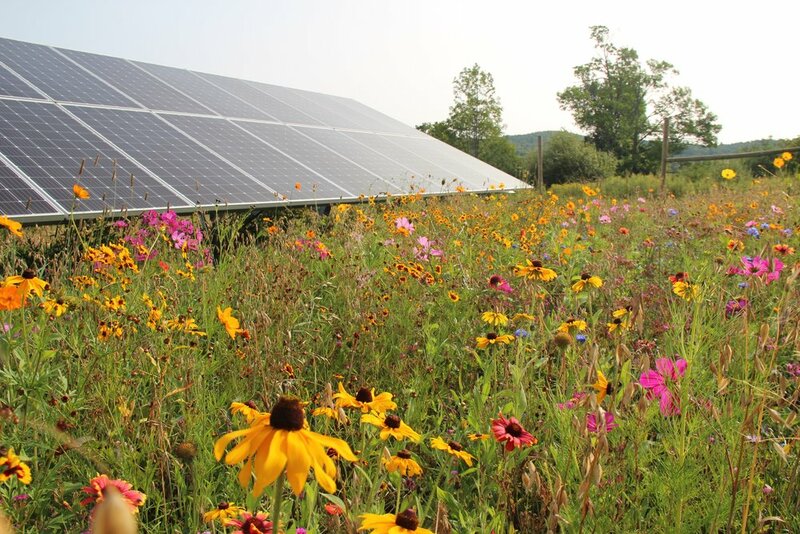 Bee the Change will create pollinator habitat that is equivalent- an offset- of your footprint at a solar field, underneath power lines or in a school or municipal space. Say, for example, your office footprint is 2400 square feet, for $0.11 per square foot, or $264.00 we will create 2400 square feet of pollinator habitat. If your home has an 1100 square foot footprint, we can offset that for $121.00. Or you can combine your home and office and we can offset the entire footprint, in this instance, for $375.00.